Nostalgic, heart-wrenching and beautiful are the the three best words to describe Ori and the Blind Forest: Definitive Edition. Never have I played a game where the story, art style, musical score and gameplay all come together to create a truly wondrous gaming experience. Developed by Moon Studios Gmbh and published by Microsoft Studios, you play as Ori, a guardian spirit of the forest of Nibel, the world in which you reside and explore. This game was first announced way back in 2014 and was released for both the Xbox One, Microsoft Windows and PC on 11th March, 2015. 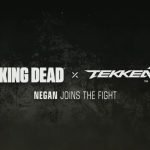 A year later, the Definitive Edition was released on the 27th April for the same platforms. The Definitive Edition has more content bundled with it than its original release, and they are as follows: New areas to explore, secrets to find, new abilities to master, e.g., dash and light burst, discover more of Naru’s past in two brand new environments to explore, full backtracking support, teleport around the world using the spirit wells for ease of access and multiple difficulty modes to enjoy. This tale begins with a cutscene explaining how your character came into being. You are born from the Spirit Tree and have been separated from it during a storm. You drift into the arms of one of the forest’s dwellers, Naru. After Naru discovers you during the storm, she takes you in and raises you as her own child. The ensuing minutes chronicle the life you two share. This is emphasised by the musical score that accompanies this beginning cutscene as you quickly discover that all is not as it seems. Naru learns that the forest is dying, and she’s doing all she can to keep Ori (you) safe from the unfolding horrors. But, this isn’t enough, and Naru passes away due to starvation. Thus, you are alone, and you make your journey out into the forest, only to succumb to the same fate. The end…… only joking. In true storytelling fashion, you get revived and are better than ever. From here, this is where you officially start to navigate and experience all that Ori and the Blind Forest has to offer. The story unfolds as you play and complete your journey to restore the forest of Nibel. The great Spirit Tree and your companion, Sein, talk to you whilst you’re traveling, offering advice, wisdom and direction in this beautifully crafted world. The environments are nothing short of breathtaking, and I could easily spend quite a bit of time just wandering around and taking it all in. The art style truly enriches the gameplay experience as it pulls you in, and the areas you begin to explore all have personalities of their own. That, along with the rich, engaging musical score, elevates Ori’s story by making it feel like you’re watching a movie (at least to me it does), While exploring, you get to see many different parts of the world you inhabit, like the Moon Grotto, Thornfelt Swamp and Valley of the Wind, to name but a few. Each area has a distinct atmosphere and lends itself to the musical score that makes each zone a character in its own right, with multiple areas to revisit once you have new abilities unlocked to access them. Thus, the replay value of each area is extended, as on my playthrough I really tried to get everything I could the first time round, but it’s just not possible until you get more abilities. Ori and the Blind Forest’s gameplay lends itself to that of the Metroid games of old, with the fast-paced action and the zipping around the areas you explore with acrobatic ease. As with most platformers, you start off easy, getting to know the basics, working your way up and getting used to the game’s controls, and mixing in a few abilities to use in different scenarios. 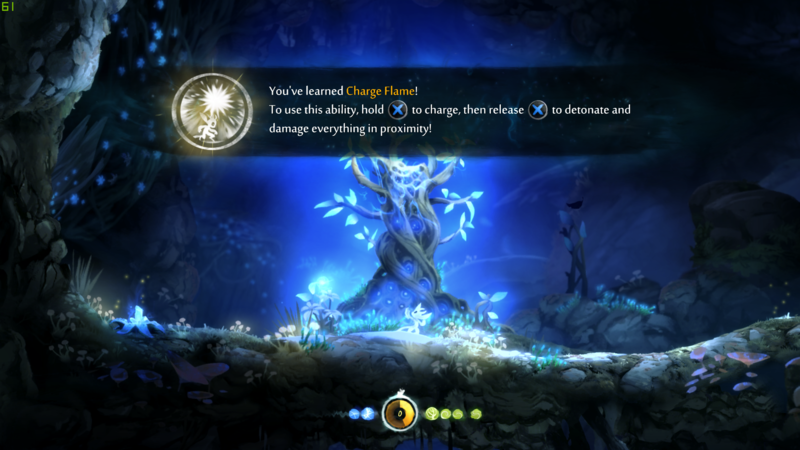 Then, when you’re comfortable and you’ve acquired a few more abilities, you can power up said abilities to be stronger and faster, and it becomes easier to control Ori as the world is opened up to you with hidden areas to find. 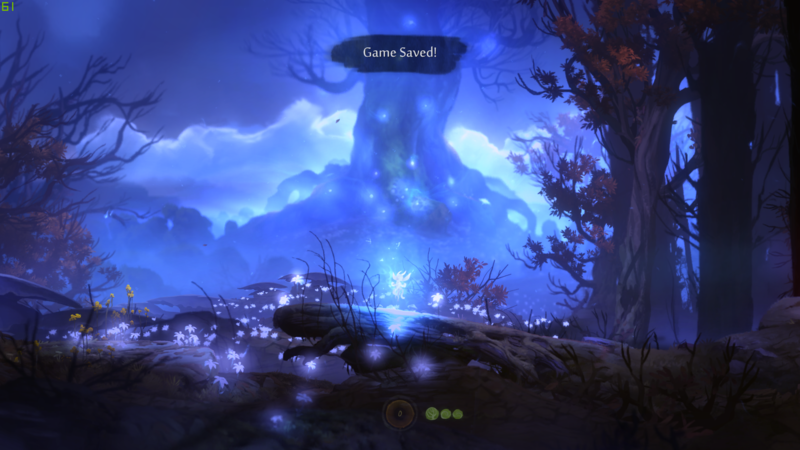 Ori and the Blind Forest implements these Metroidvania type of gameplay elements very well. Each handy little power up is scattered throughout the game world, waiting for you to utilise what you have acquired and to put them to the test in order to reach the next areas. Some are out of the way and will require a little creative thinking for you to reach, especially energy pickups, which are needed for a key feature of this title: the save feature. Trust me, you’ll be needing this. Just remember to keep it topped up at all times. Think of it like the campfires from the Dark Souls games, but you can take it with you and save on the fly (enemies don’t respawn every time you use it either; panic over). Due to the fast-paced nature of the game, I’ve become accustomed to many games of today’s auto-save features, and when you inevitably bite it, you’re used to the game’s auto-save bringing you back to your desired location. Well, not in this game. If you get a bit too far ahead and end up dying, the game will zip you right back to where you last manually saved your progress (I learned this the hard way, numerous times). This is both a good point and a bad point of the title, in my opinion; good in the sense you can save wherever and whenever you want, but it’s also bad if you get too caught up in the game and forget to save before you get killed. You’ll basically have to start from the last manual save point you made, which may be a while back. The game does have a lot of good points going for it: the great art style, engaging musical score, Metroid-like gameplay mechanics. But to say that this title doesn’t have any flaws would be incorrect. For instance, Ori appears a bit too small on the screen, in my opinion, which can sometimes lead to confusion as to where you are on-screen, thus resulting in you falling down into a pit of spikes. Enemies can be tiresome to kill after a while with your basic attacks, leading to you looking for the easiest option to quickly dispatch them, a.k.a, charge flame attack. Also, the save feature that I previously mentioned can be difficult to remember when you’re heavily invested in solving that puzzle that keeps beating you, leading to you overcoming it and then dying in the next area. Remembering to save manually every time, everywhere is something can easily be overlooked. But, all of these points are minor when everything is taken into account, and the overall feel and playability of Ori and the Blind Forest make it a title I’m glad I purchased, and I will continue playing it for many months to come. Such is the popularity of this title that a sequel is in the works and is to be released in 2019. For more great reviews, click HERE. 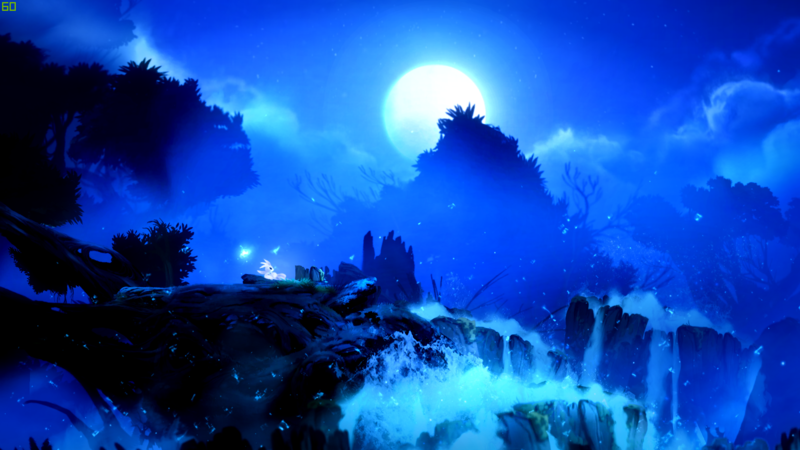 For more information on Ori and the Blind Forest, click HERE. Ori and the Blind Forest is a fantastic game with a unique art style and musical score to give you a rich, rewarding experience through and through. Minor setbacks include the character's small size on-screen and the manual save feature which, when solving numerous challenges, can be easily forgotten. 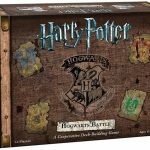 But, taking all the factors into consideration, these minor flaws can be overlooked because the game is so fun to play and makes you want to keep going back for more.